During the performance you will not only witness unbelievable and unforgettable miracles, but also become a part of them. You will greatly enjoy a magnificent day full of magic and thrilling emotions. 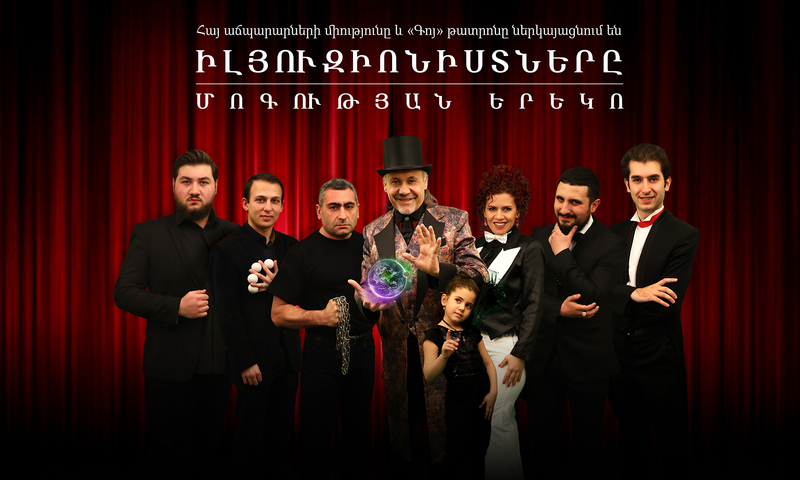 PERFORMERS: Vardan Amiryan, Arevik Harutyunyan, Hayk Mikayelyan, Hayk Janoyan, Aram Gharibyan, Misak Khandanyan, Armen Mkhoyan, Yeva Amiryan. Tickets are available at 2500, 3000 AMD.